Do you need spiritual consolation? A greater degree of hope? More confidence in God’s providential care for you? 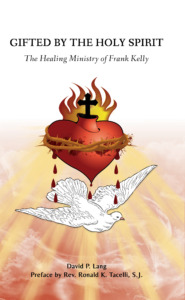 Reading this book may help you increase your trust in the divine mercy, as you witness God’s work in the life of one man and the many people touched through him. Having survived electrocution from a usually fatal voltage, Frank Kelly’s life took a dramatic turn. “From here on, I take over,” declared our Lord Jesus Christ in a subsequent apparition to Frank. These jolting events led to a prayer ministry marked by the pronounced gifts of word of knowledge and healing. This book is the sequel to Short Circuit to God, picking up the story of Frank Kelly’s ministry where the first book left off.